Well, Florida has had a good run, especially Northeast Florida where Ned and his posse dwell. We’re set to get hit by our first hurricane in decades. I (Jay) have a friend in Spain who makes insane beats, but moreover he is obsessed with our Florida storms. 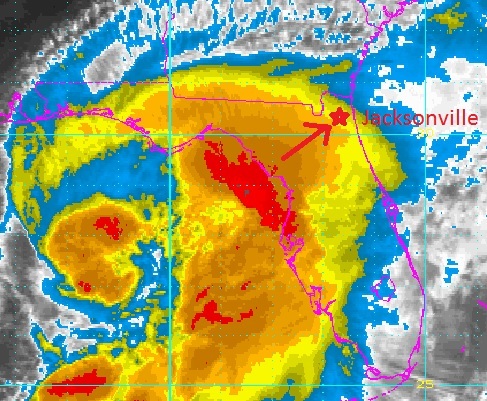 Hurricane Hermine enroute to Jacksonville. Satellite Image courtesy NOAA. I think people believe we’re just dodging hurricanes right and left, but in reality we get hit very rarely. The jet stream does that – it runs right up the coast and steers most hurricanes away from us. Not so with a Gulf hurricane – those sneaky bastards will cross the state from the west and do some real damage. That’s what’s going on with Hermine, our latest tormentor. He’s chugging across the state right now, and his south side is a BAD neighborhood. We’re set to be visited by the southside of Hermine sometime early Friday morning. Caleb is on location on the Westside of Jacksonville, so between the two of us we might get some pretty good storm footage. 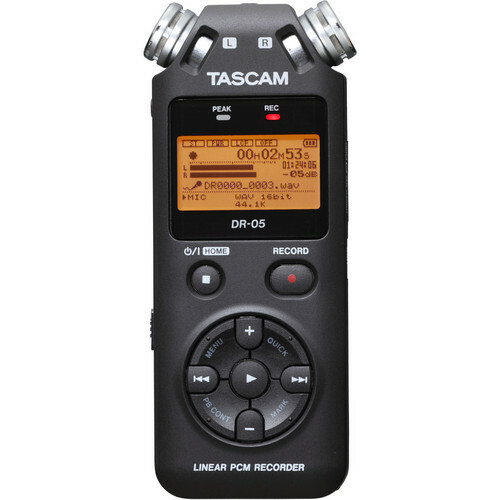 He has our good Tascam (he’s working, I’m not), and sometimes these things have crazy stereo separation that only the DR05 can capture.